The increasing need to understand the role of cannabinoid CB2 receptor (CB2R), in the development of neuropsychiatric disorder is due to its association with different forms of anxiety-like and depression-like behaviors. Despite the availability of genetic findings that report the effect of CB2R polymorphisms on the central nervous system, these findings have not been validated using behavioral experiments. Previous studies have suggested that the CB2R gene in the endocannabinoid system stimulates anxiety-related behavior and the activation of the hypothalamic-pituitary-adrenal (HPA) axis during the onset of stress-related disorders. 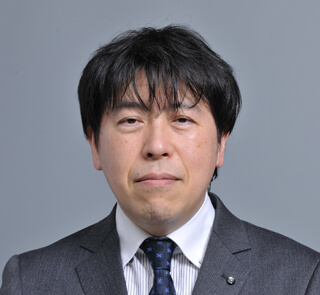 Professor Hiroki Ishiguro University of Yamanashi and his colleagues demonstrated the role of the interaction between CB2R gene and environmental factors on the expression of stress-related disorders in mouse models. The collaborative research team analyzed the behavior of each stress model using immune and emotional stressors and evaluated the neuroinflammatory and HPA axis biomarkers for depression or stress-related disorders. The work was published in the peer-reviewed journal: Molecules. The authors observed that the exposure of the mouse models to emotional stressors (chronic mild stress-CMS) significantly changed the anxiety-like behavior of mice treated with either saline, CB2R agonist JWH015, CB2R inverse agonist AM630 or fluvoxamine. This anxiety-like behavior was augmented in mice treated with AM630 compared with mice treated with saline. Contrastingly, this anxiety-like behavior was reduced in mice treated with JWH015 and fluvoxamine. The authors also observed that the exposure of the mouse models to immune stressors (polyinosinic-polycytidilic acid- Poly I:C) enhanced anxiety-like behavior in the heterozygote Cnr2 knockout mice compared to the wild-type mice. Furthermore, they noticed that there was no significant difference in the locomotive activities of the heterozygote Cnr2 knockout mice compared to the wild-type mice. However, after 72 hours of Poly I:C treatment, it was noted that the heterozygote Cnr2 knockout mice exhibited a higher tendency to reduce their locomotive activities when kept in their home cages compared to the wild-type mice. The authors also discovered that the emotional stressor significantly reduced the expression of Fkbp5 gene in the hippocampus of C57B/JJmsSlc mice, while the immune stressor significantly reduced the expression of Fkbp5 gene in the Cnr2 heterozygote KO mice compared to the wild-type mice. The findings documented by professor Hiroki Ishiguro and colleagues explicate the role of the interaction between CB2R gene and environmental factors on the exhibition of anxiety-like and depression-like related behaviors, during the exposure of mouse models to emotional and immune stressors. These findings serve as a cornerstone for further research studies on the role of CB2R and environmental interaction on the expression of stress/depression-related disorders in human subjects. Since 1993, Hiroki Ishiguro works in clinics as psychiatrist and in the research laboratory of Department of Psychiatry, Tokyo Medical and Dental University and Department of Medical Genetics, University of Tsukuba, Japan. During 2000 and 2004, he continued the research as a Visiting Foreign Fellow at the National Institute on Drug Abuse / National Institute of Health (NIH), USA. From 2005 to 2009, he continued basic and clinical research as assistant professor of Department of Medical Genetics, University of Tsukuba, Japan. In 2010, he moved to Department of Psychiatry and Clinical Ethics, University of Yamanashi, Japan as assistant professor. He works in the university hospital as both of Japanese Certificated Psychiatrist and Clinical Geneticist, as well as continues basic researches. The field of his research is Psychiatric Genetics and Biological Psychiatry for schizophrenia, mood disorders, anxiety disorders and addiction. His specialty include association studies of candidate genes and GWAS with those disorders, transcriptome analysis, pharmaco-behavioral analysis in animal models, and functional analysis of genes using cultured cells and human postmortern brains. He also performs clinical studies such as for mental and behavioral development of chromosomal diseases and for postpartum depression. His recent study focus on gene-environmental interaction under development of depression and schizophrenia. He hypothesized that the interaction is at least explained by neuro-immune crosstalk under the stress. 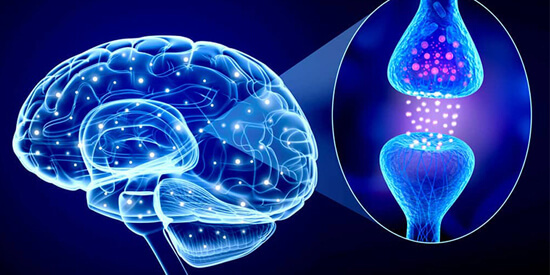 The endocannabinoid system has one of the important roles in this mechanism of brain. In 2004, he was a co-recipient of the Lilly Molecular Psychiatry Award. In 2008, he was a co-recipient of the Dr. Paul Janssen Research Award from Academic Encouragement Award of the JSCNP. In 2010, he was a recipient of the Young Investigator Award from International Behavioral and Neural Genetics Society (IBANGS). Ishiguro, H., Horiuchi, Y., Tabata, K., Liu, Q.R., Arinami, T., and Onaivi, E.S. Cannabinoid CB2 Receptor Gene and Environmental Interaction in the Development of Psychiatric Disorders, Molecules, 23(8) (2018) 1-22.